A blank roll of papyrus on wooden rollers for you to individualise. The use of papyrus as a writing medium goes back to the beginning of the 3rd millennium BC. In the heyday of Egypt and in ancient times papyrus was the usual material for documents. See their excitement when the recipient unrolls this mysterious papyrus scroll. Whether an important document, a mysterious map, an official invitation or an award for achievement, this traditional material gives your lines a mysterious and special touch. The scroll can be personalised simply but effectively to create old-fashioned invitations to birthday or theme parties. 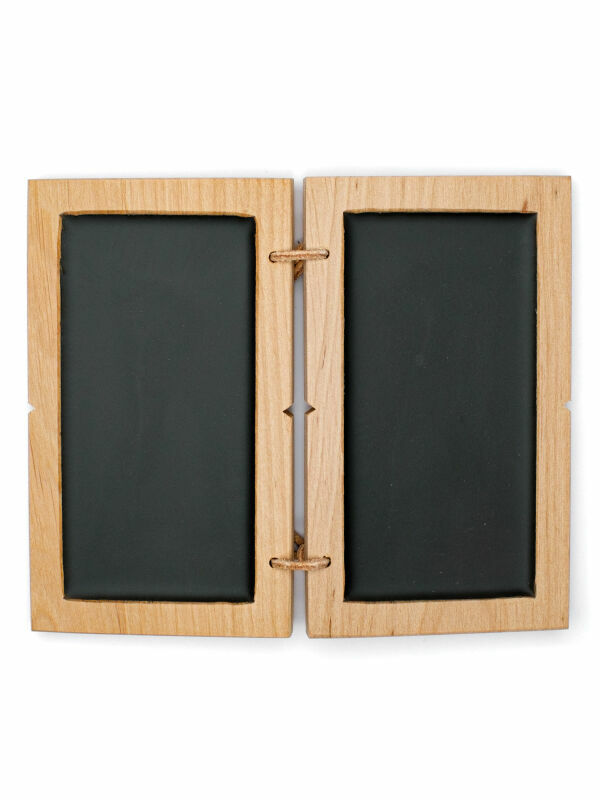 This genuine papyrus scroll with two wooden rods is a versatile base for handwritten and creatively designed documents. Using Egyptian tradition as a model, the blank papyrus scroll is crafted from a single piece of quality papyrus. 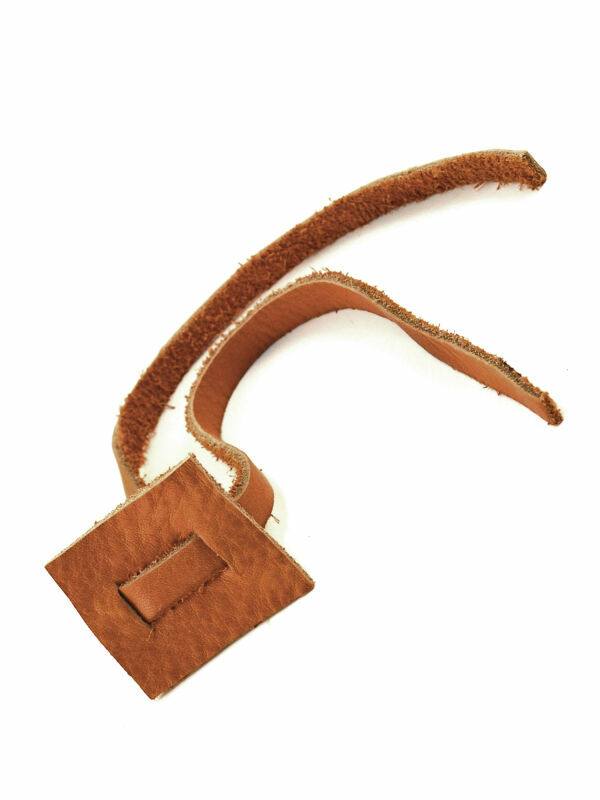 The two light wood rods allow for easy winding and unwinding of the document. The high quality rods are made of real beech wood and feature expertly-turned finials. The papyrus can be rolled up repeatedly and then rolled out again. 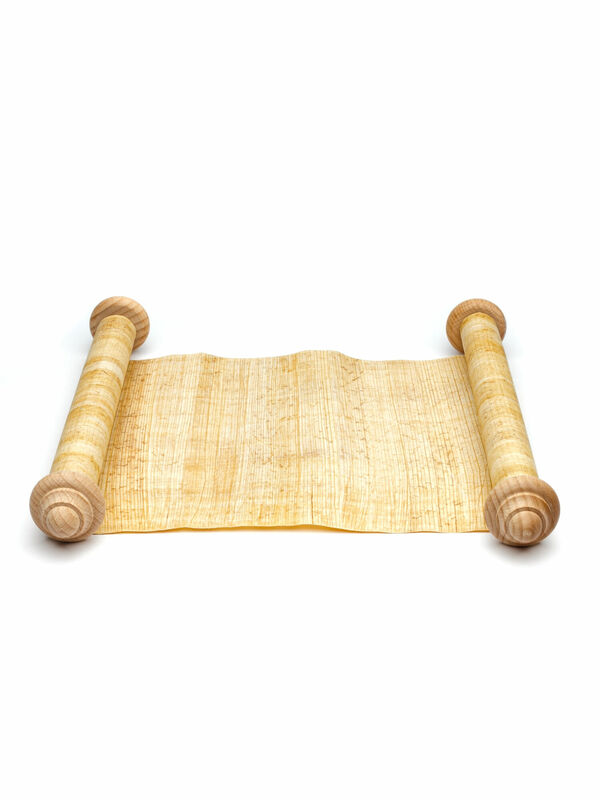 This large scroll has dimensions of 100 cm in length and about 30 cm in width with smooth edges. This blank papyrus on two wooden rollers is a quality product from manufacturer Forum Traiani® and bears the Made in Germany seal of quality. But how is it possible to write on this genuine papyrus scroll, without losing its mystical quality? The blank scroll can be easily written on using pens or ink. Coloured felt tips can be used without difficulty. The use of black or brown ink is recommended so as to give the most authentic appearance to the script. In a coloured design, only natural-looking and earthy colours should be used to avoid a modern appearance. 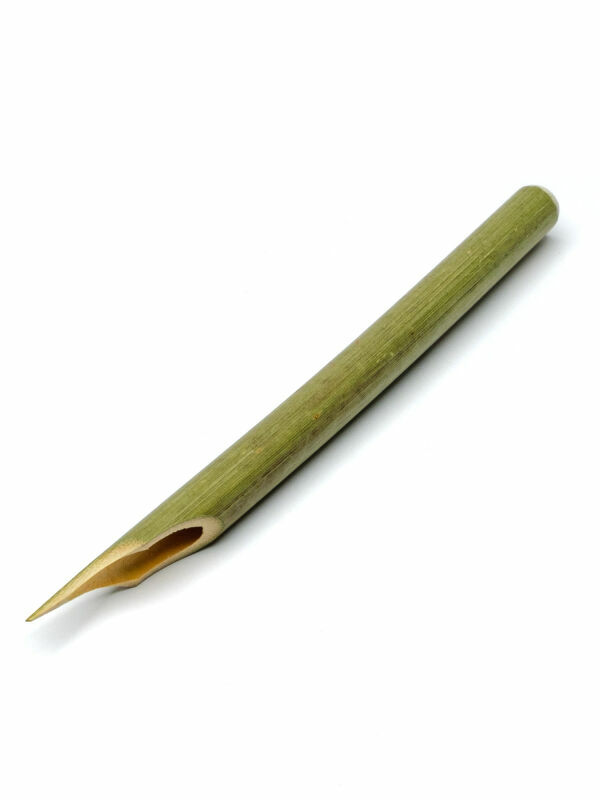 Anyone who is completely hooked on the magic and mysticism of the ancient world can try using an ancient reed pen. A rustic quill or a traditional ink pen are also excellent for authentic effect. Calligraphic elements and antique-style symbols or characters will add additional charm. Do not forget that the papyrus documents of antiquity were usually adorned with symbols and drawings. 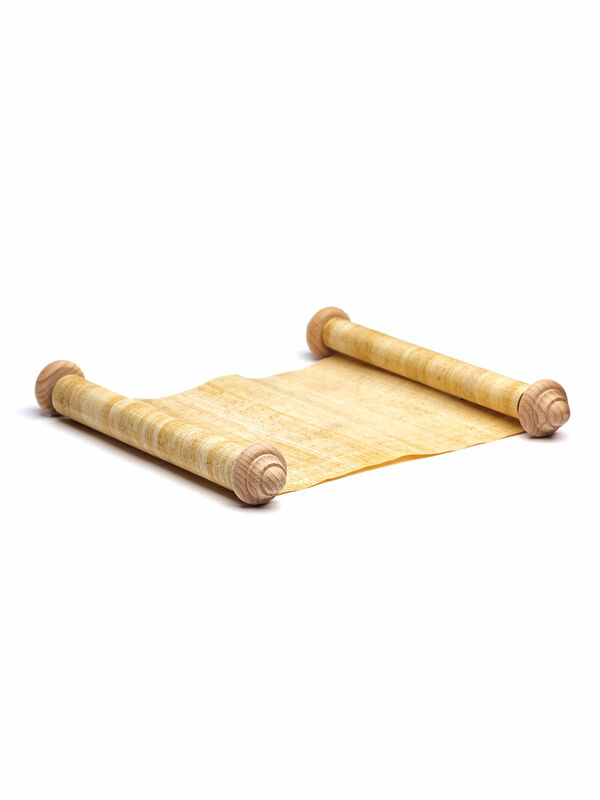 With ingenuity, creativity and the right tools you can make your own personal document in the style of ancient scrolls.